Discover the secret of Salome’s fatal dance, follow Mata Hari as she prepares for her final performance, experience the birth of an unexpected monster from a desert rose, and dive into the mysterious seductive powers of the belly dance. Evolution Theatre and Ottawa StoryTellers present Tales From The Book of Swords, stories in which women reveal, and become, their secret selves. An early draft presentation of a storytelling and dance work-in-progress. Written by Laurie Fyffe with readings by Jacqui Du Toit, Priyanka Gopalkista and Marta Singh. Choreographed by Allison Elizabeth Burns with dancing by Elizabeth Emond-Stevenson, Chelsea Passmore, and Theresa Young. Tickets $15: available at online at Eventbrite or at the door. Born and raised in Argentina, Marta Singh lives and works in Ottawa. She has been featured as an artist in the Ottawa Storytellers’ 4th Stage Series at this National Arts Centre more than once since 2005. She was also one of the eighteen passionate tellers who performed the twelve-hour epic tellings of The Odyssey and The Iliad. As a solo artist, Marta has performed in English and Spanish across North and South America. 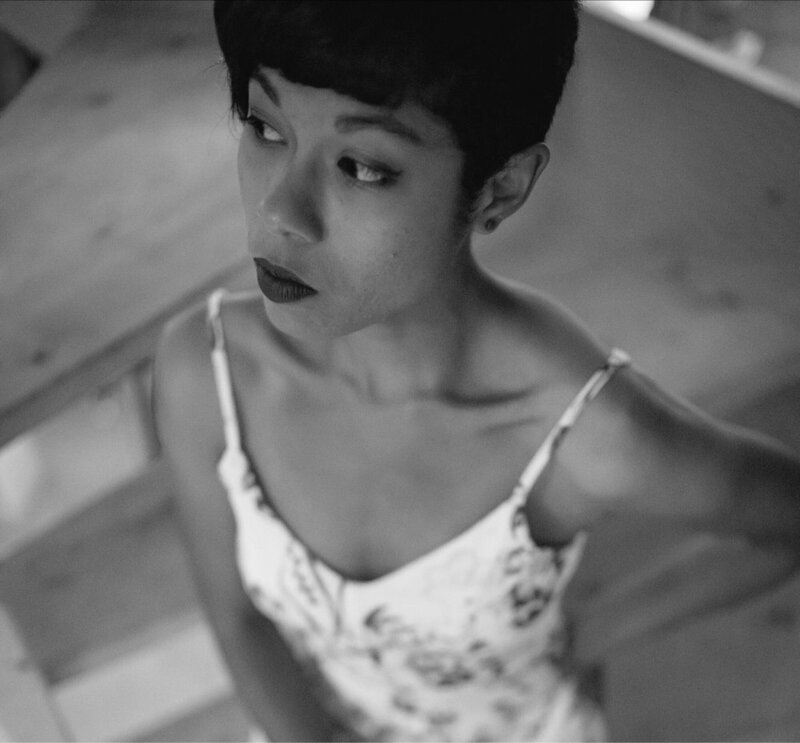 Her repertoire, which includes literary and personal material, is deeply rooted in fairylore. Renowned for the skill of her crafting, her poetic use of language and her unique expressiveness, performances by Marta are said to leave audiences spellbound. Off the stage, Marta works with organizations and schools, facilitating story as the supreme tool to translate information into meaningful language, and fairytales, as the ultimate weapon to ignite and decolonize imagination. To this happy end, Queen Elizabeth Public School has welcomed her for the past two years as their Storyteller in Residence. Jacqui Du Toit (Actor/Writer) is an actor, dancer, storyteller, and writer who has created many original shows for Generation 8 Performance Theatre. In April of 2017 - after successful performances at the Origin Arts Community Centre and The Gladstone Theatre - Jacqui’s show The Hottentot Venus – Untold was produced by Counterpointe Player’s TACTICS Festival. Jacqui has performed with Ottawa Little Theatre, Rock the Arts children’s puppet company, the Niyamah Collective, and Ottawa StoryTellers. Jacqui has her degree in Theatre and Performance from the University of Cape Town, South Africa. 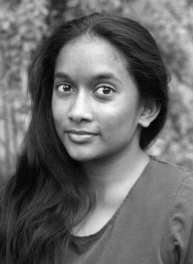 Priyanka Gopalkista originally born in South Africa, is a 4th year Honour’s BA student at the University of Ottawa, pursuing a Major in Theatre and Minor in Psychology. An actor, playwright and dancer, her first written production “So, You’re South African, eh? , was part of the Youth Infringement Festival 2017 and currently went on to the Fresh Meat Theatre Festival 2018. Priyanka has also taught dance, including hip-hop dance classes at University of Ottawa and a workshop for the Ottawa Children’s Festival. Laurie Fyffe’s recent works include The Secret Life of Emily/Frances, produced at the 2015 Ottawa Fringe, and the collectively create The Home Show, Fringe 2017. The Belly Dancer at the End of the Universe was produced at the first Ottawa Fringe Festival, 1996. Works in progress include Being Helen, about Helen of Troy, and Exciting Cause based on case histories of the Rockwood Asylum, Kingston, ON. Elizabeth Emond-Stevenson is an emerging franco-ontarienne dance artist & writer from Orléans/ unceded Algonquin territories. As the body behind TAKE UP SPACE Elizabeth has created works including TAKE UP SPACE + MOONFRUITS, a collaboration of live music, improvisation and storytelling with Ottawa band Moonfruits, little dances / petites danses and short film Theresa’s poem. Other projects include creating work for The Annual Alberta Dance Festival (Calgary), NextFest (Edmonton), The Movement Gallery and Dark Horse Dance Projects (Ottawa) and dancing for Kaja Irwin, Allison Burns, Jordan Samonas, Par B.L.eux (Montréal) and Corps Bara Dance Theatre (Calgary), among others. Elizabeth toured Ontario and Alberta as a cast member of The Ghomeshi Effect, participated in adelheid’s re:research (Toronto) and leads movement workshops at Amethyst Women’s Addiction Centre. Theresa Ming Gauthier was born and raised in Columbus, Ohio, USA, where she began her earliest movement studies in martial arts. She and her four brothers studied Tae Kwon Do, as well as Chinese wushu under Grandmaster An Tianrong, former teacher of martial arts star Jet Li. Dance formally entered her life at The Ohio State University from which she earned a BA in Chinese Language and Culture with a Dance Minor. During this time she had the wonderful opportunity to join Xclaim Dance Company for two years. With Xclaim, she worked with inner city middle school youth as a mentor and teacher and realized that she could use dance to build community and empower youth. Her desire to become a great teacher brought her to The School of Dance’s Contemporary Diploma program, where she trained intensively full-time for one year, working with choreographers Sylvie Desrosier, Cathy Kyle Fenton, Serge Bennathan, and Andrew Turner. Theresa continues to grow her movement vocabulary through her work as a personal trainer and her apprenticeship with Dandelion Dance. Her hope is that movement can always be a medium through which she can create greater health and connectedness in her community and support youth. Chelsea Passmore was a member of The Ottawa Rhythmic Gymnastics Club from age 9 to 17. She attended The School of Dance Contemporary Dance Program from 2010–2012. She has since performed improvised solo work for PAL Ottawa and visual artist Tami Galili Ellis. She participated in the 2013 Canada Dance Festival in an improvised piece for Mile Zero Dance and Le Grand Continental by Sylvain Émard. In September 2017 she danced for Allison Burns in Dark Horse Dance Projects. Allison and Chelsea co-produced Inside Out: a contemporary dance showcase in March 2018 for which Chelsea choreographed a solo for herself. She danced in a collaboration between Take Up Space and the musical duo Moonfruits in July 2018. She then collaborated with Travis Martin on a dance theatre piece called Lust/Trust//Shame/Game which was performed in Fresh Meat Theatre Festival in October 2018. Chelsea will be producing a show called pass more dance on March 7 and 8 2019. She is please to be joining Ottawa Storytellers and Evolution Theatre for this performance. Allison Elizabeth Burns is a dancer, choreographer, producer and teacher. She is currently working on a choreography called Love Locks to premiere at the 2019 Ottawa Fringe Festival. 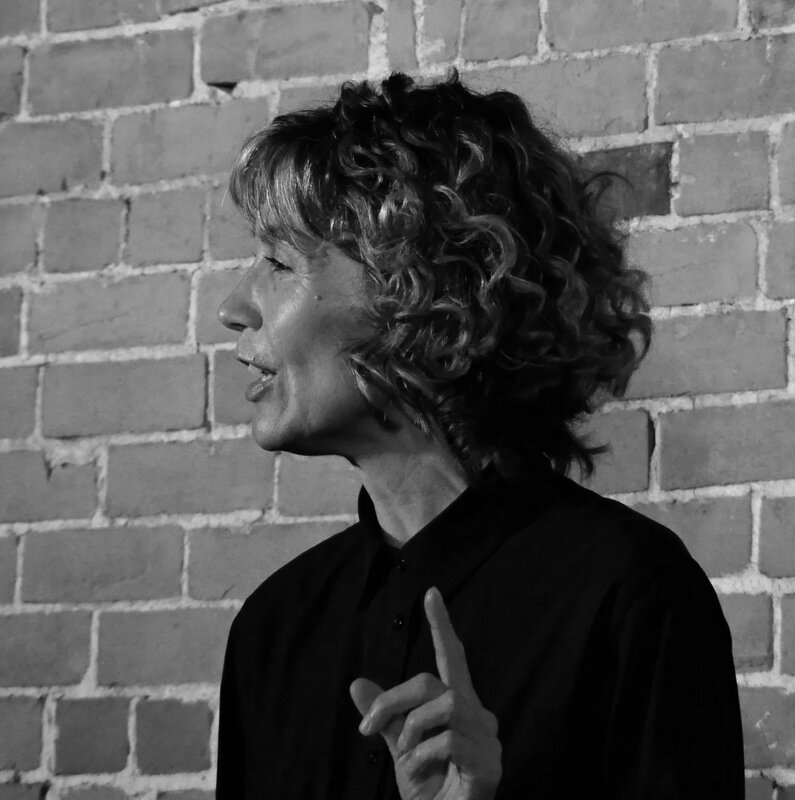 In 2018 she choreographed a trio called We Three for the 37th Annual Alberta Dance Festival. She presented two new multidisciplinary creations in 2017, Do You Want to Live Forever? and The Key to Time Travel (Dark Horse Dance Projects). She choreographed 9th Hour Theatre's 2018 production of Godspell, and collaborated with Odyssey Theatre as choreographer and dance leader on their 2017 Spreading Roots community outreach project. She choreographed and performed in Enough Already, a play that was nominated for two Frankie Awards at the 2016 Montreal Fringe Festival.